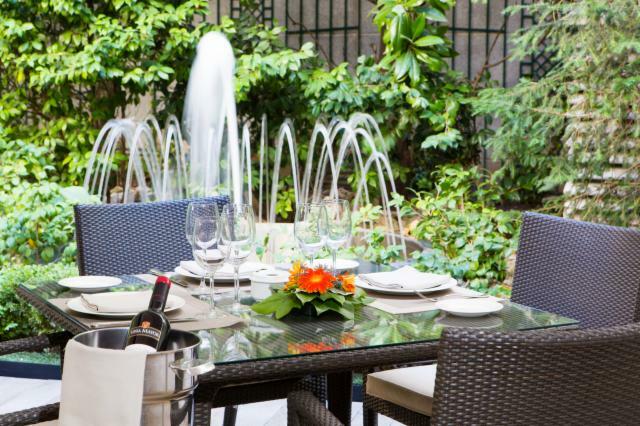 Our restaurant Jardín de Recoletos is located in the heart of Salamanca neighborhood and just a few meters from the Retiro Park and Puerta de Alcalá. It is specialized in careful traditional Mediterranean kitchen which has been satisfying our clients for more than 15 years. Our restaurant has two independent areas, a charming and stylish café and a dining room with a spectacular outdoor terrace filled with greenery that becomes a great attraction during the summer season for parties, business lunches and celebrations or even for a coffee or soft drink in the afternoon. The terrace is prepared to be open 365 days a year; in addition, on our outdoor terrace smoking is permitted. 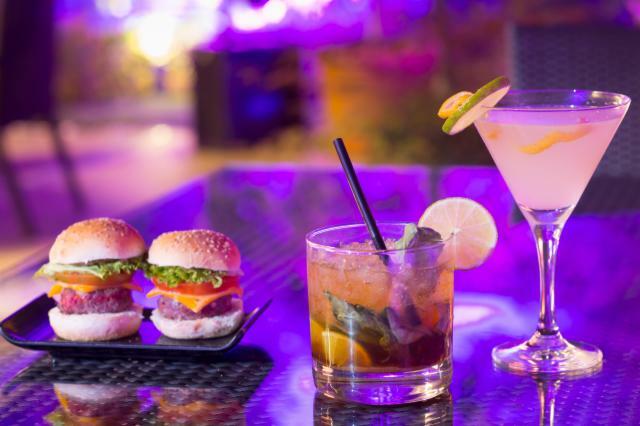 Also, we recommend to try our new Gin Tonic and Cocktail Menu with the best national and international brands. The favorite courses of Jardin de Recoletos' restaurant, are among others, our delicious oxtail, our fried broken eggs with prosciutto Iberian ham, and our creamy Mushroom and prawns Risotto, all of them are based on a very traditional Spanish cuisine which after 15 years, have been satisfying all tastes. From Monday to Saturday you will be able to enjoy our delicious “executive menu”, where you will be able to choose between three starters, two main courses (fish or meat) and three delicious homemade desserts. +34 91 781 16 09.